You guys, we’re almost there. We’ve almost made it through another Texas summer. Almost. August is here, a heatwave has hit, and I’m just so ready for colder weather. I mean, hot weather is great but… I need cold. I need those gloomy days where it’s too cold to go outside, a big cozy sweater wrapped around me and a big cup of something hot in my hands. Perfection. Anyway, at least I can eat cold refreshing foods in the meantime to cool off from this atrocious heat. 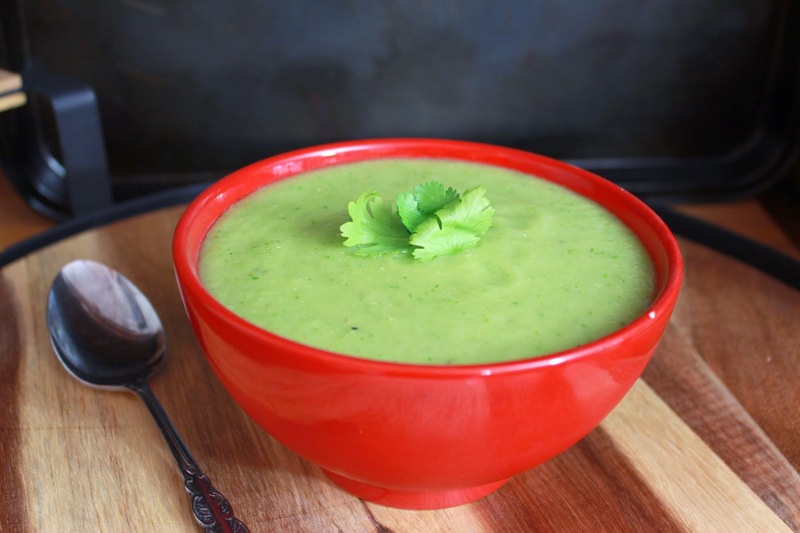 If you can’t tell from it’s bright green glow, this soup is seriously healthy for you. With cucumbers and avocados making up the base, it’ll make you glow just as well. I know that it’s hot outside you guys but I want some comfort food. Some southern comfort food, you know what I mean? These are my latest addiction.